Gluten & Allergen Free Expo Finds — Dine on In! 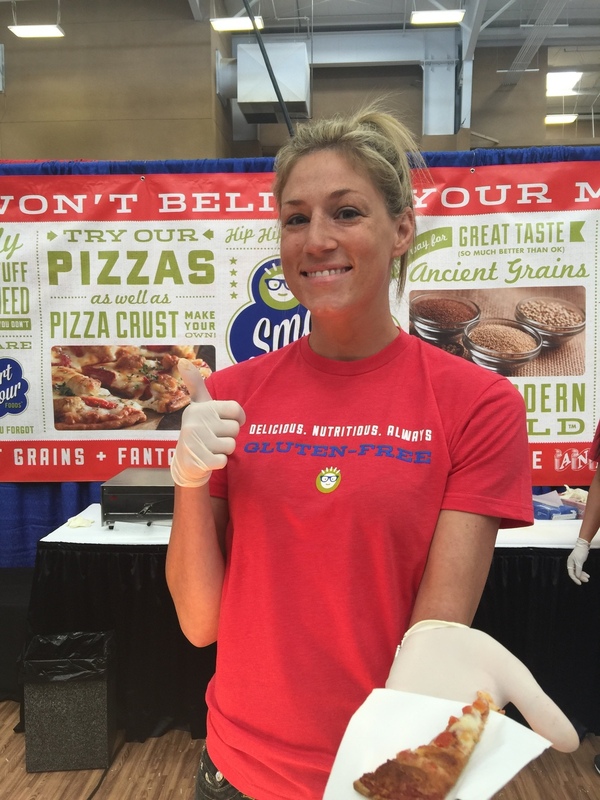 I recently attended the Gluten Free & Allergen Free Expo. While I am not a person who eats 100% GF and AF, I am ALWAYS curious to know more about this lifestyle because this mass market has been killing it with alternatives to the mainstream known way of eating and snacking and that makes me, a chef, a foodie just crazy happy to be a part of it and know more. While thousands of people walked into Wyland Hall at the Del Mar Fairgrounds today, I kept thinking about all the questions I wanted to ask each one. How long have they been gluten free? What sort of allergens do they or their family members face? When you travel, do you have to pack your own food or do you route in your nutritional lifestyle? What are the brands that you are most excited to try while at the expo? I found so many products of things that I already use but I was totally shocked to find some others that weren’t on my radar. 1. Spinato’s- A family run pizzeria in Arizona, who started crafting Gluten Free Frozen Pizza’s and Sauces to the grocery stores. It was one of the ONLY food vendors- and it was always busy for good reason- this pizza was soooo good. I am totally going to look for them in my local places and stock up. 2. BFree- A Bread Company from Ireland. Doing it right with the Breads. It was the softest white bread I have ever tasted, and I haven’t had white bread since I was a kid eating wonder bread and that is what it reminded me of. 3. SuperSeedz- A Company from San Diego and one of my favorite flavored seeds, they are made from Pumkin Seeds. Being Mexican, it’s the only kind of seed I have ever known. Now I can have them with flavors. My favorite? The curry. It’s a good go to. 4. Aleia’s- Coming to us from Connecticut. They make bread crumbs and cookies- I had my guy try their oatmeal raisin cookies- SOLD! We should buy stock in this company. 5. Gutenberg- Beer from Canada and no, not made with mead, but made with buckwheat. Low ACV, and super crisp- They told us we could find them locally, and that same day we bought a 6 pack. There were other vendors at the expo. I am not one for alternative sweeteners, chips, protein shakes, and powders or teas. I am more into the easy food to go. I like to use alternatives that taste just like what my memory holds close. Maybe you have had some of these? What did you think? Do you like them? Will you eat them again?